4 + 4 = ? : (Required) Please type in the correct answer to the math question. The high temperatures only rose to 94° so the weather was much more comfortable. US 60 took us to Springfield, MO and then it was a straight shot south to Branson. 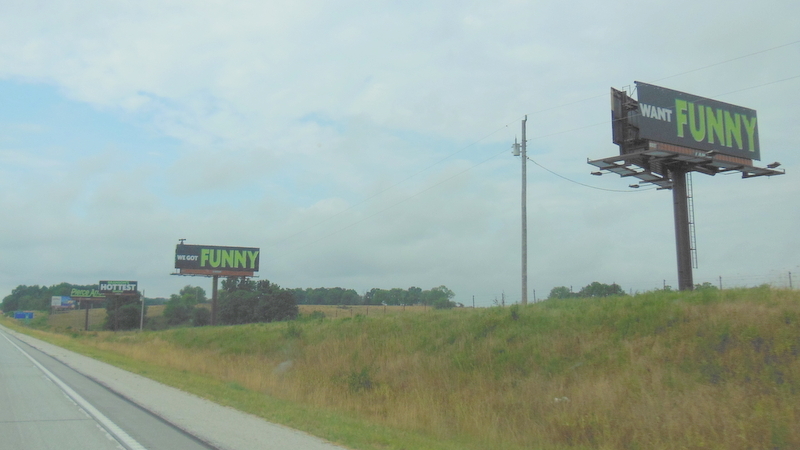 The road is lined with mammoth signs advertising the various shows. 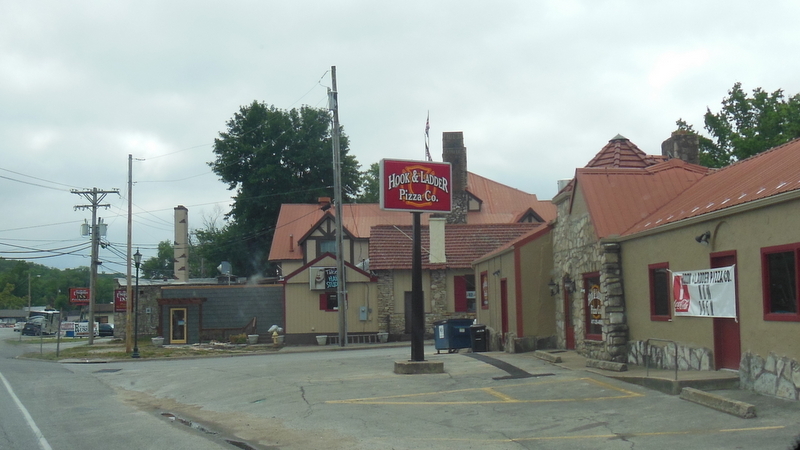 We followed all instructions on the GPS and tourist map to go through Branson but never did see a theater. Before we knew it we crossed a river and were past the town. The best photo we got was the Hook & Ladder Pizza Co. It was not really worth a 500 miles trip from Nashville. We were now well into the Ozark Mountains. The area is a summer place with large lakes, mountain views, and lots of tourist attractions. 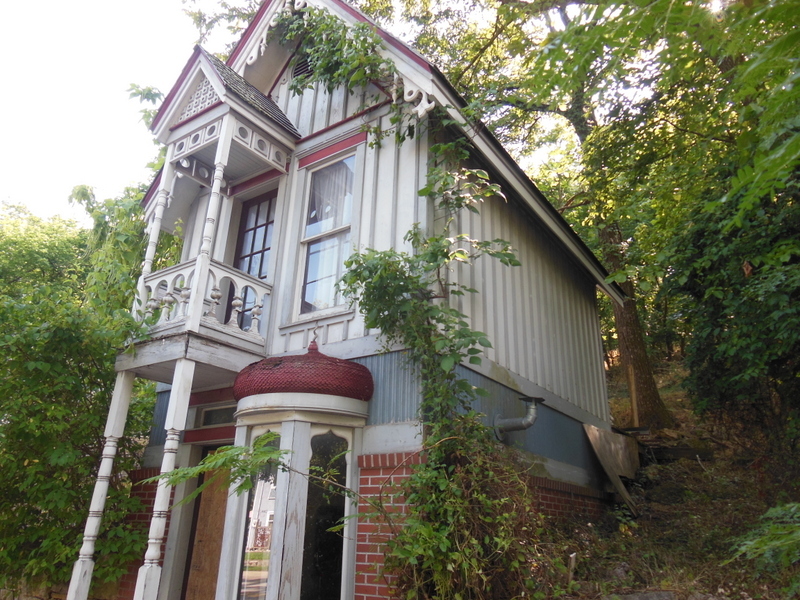 Eureka Springs is well worth a visit. The town dates back to 1879 and was a place to visit for the healing waters from a number of springs. The old hotels are still there along with lots of shops and interesting Victorian homes. Today we moved and first stopped at the spectacular Thorncrown Chapel just west of Eureka Springs. It is regarded by the architects association as the fourth most significant building architecturally of the 20th century. 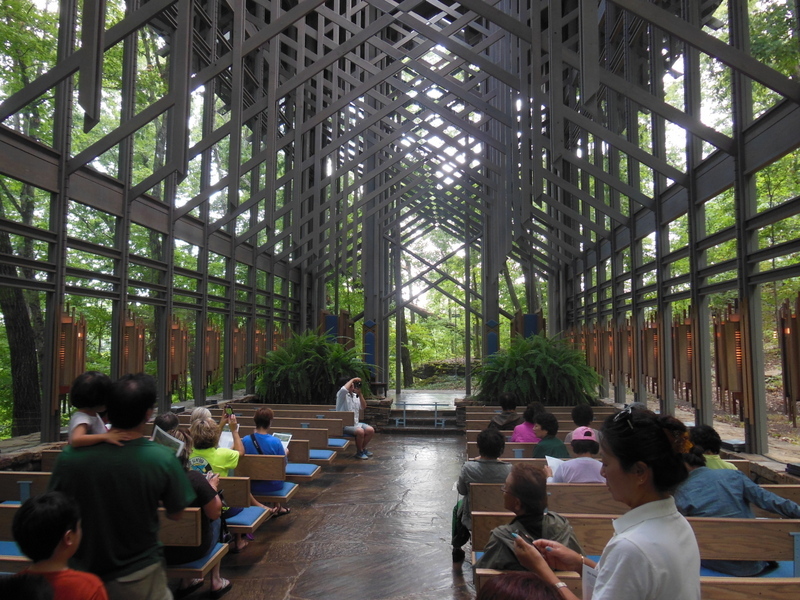 The chapel was built of glass and wood and finished in 1980. E. Fay Jones was the architect. There are 425 windows and the ceiling is 45 ft high. The wooden beams that form the crown of thorns also serve as flying buttresses in reverse and put inside the chapel. The light fixtures are like something Frank Lloyd Wright would have designed. Then it was on to Bentonville, the home of Walmart and the site of the new Crystal Bridges Museum of American Art. This was expected to be the highlight of our trip but was a big disappointment as it is closed on Tuesdays. We did get to walk around the grounds and see the buildings that look like a group of Quonset huts sitting in a pond. 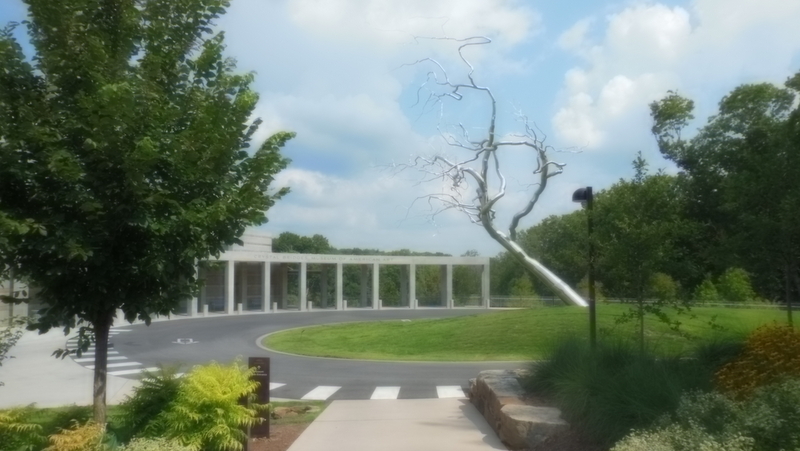 A dead tree made of polished stainless steel greets each visitor. Then we decided to visit the Walmart Visitor Center. It was not easy to find with few street signs to guide us. It turned out to be right in the center of downtown with no parking anywhere. That was it for Bentonville and we headed north enroute to Forest City, IA, the home Winnebago.